Premium range of UHF and combination mast head and house distribution modulators and amplifiers to suit all needs. 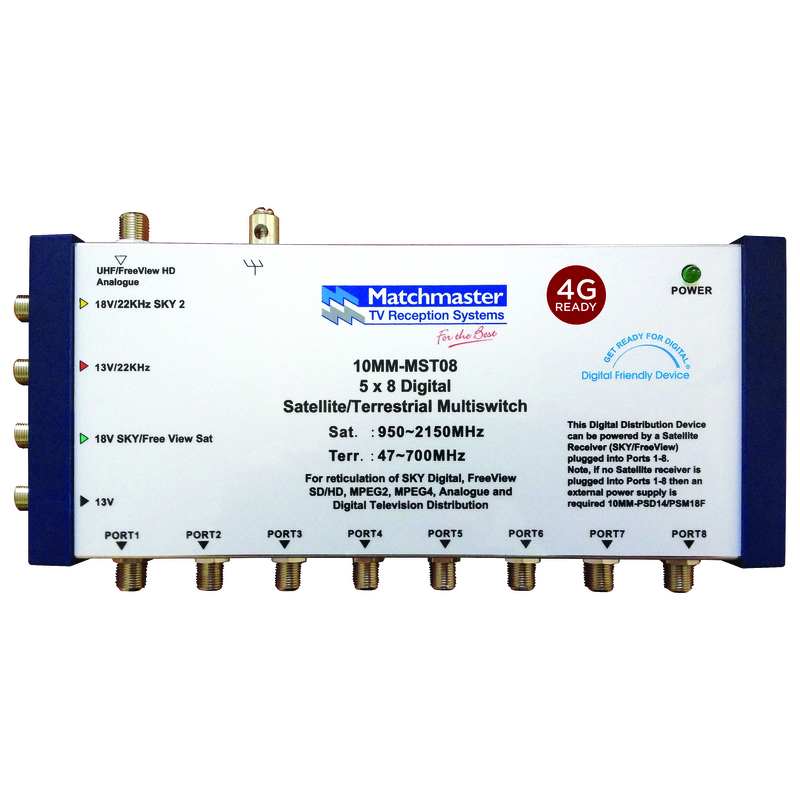 Matchmaster’s range of mast head modulators and amplifiers have 694MHz built in low pass LTE/4G filters to reduce interference from 4G mobile transmissions. Powered from any output "remote-powering"